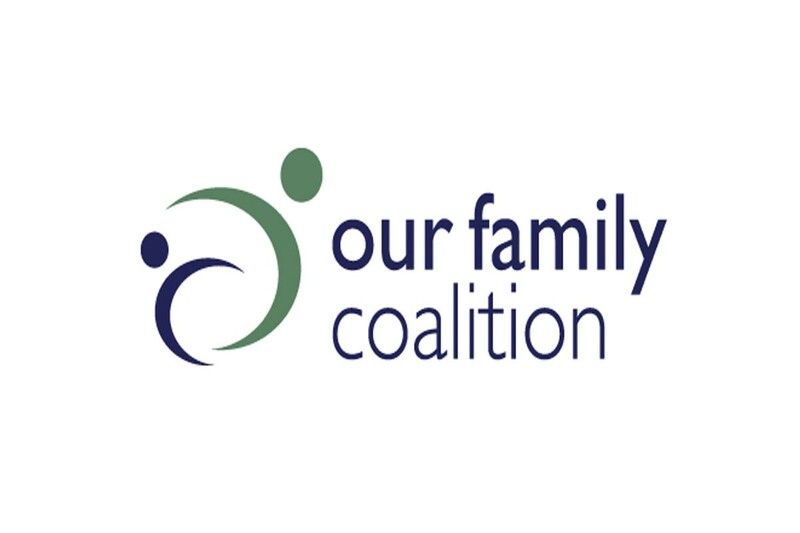 We are proud to feature Our Family Coalition (OFC)OFC), which serves LGBTQ families in the Berkeley, California, area. Through support, education, and advocacy, this wonderful organization was founded in 2002 and seeks to create an inclusive and just world where all LGBTQ families with children have visibility and opportunities to thrive as valued participants in our schools, institutions, and communities. Additionally, OFC cultivates community-based leadership among LGBTQ families and forms strong partnerships with its allies in California to advance social justice and make the United States a more respectful and inclusive place for all. Q: When and why was Our Family Coalition formed? A: Our Family Coalition emerged out of grassroots LGBTQ parent groups that had formed to provide community and visibility for families that, at the time, had precious little of either. In 2002, two different Bay Area groups merged—Our Family, an East Bay group that began in 1994, and All Our Families Coalition, a San Francisco–based group that started in 1996—to become a 501(c)(3) nonprofit organization. Q: When and why did you get involved? A: I became involved as a fresh parent over 10 years ago and began to work as a staff member just over two years ago. My involvement—whether as a parent leader or as a staff member—stems from a very powerful desire to help eradicate structural bias against our families, change the hearts and minds of the people and institutions that impact our kids, and build strength in our community so that we can approach the challenges in store for us in the future with our fullest selves. Q: What are the key services your organization provides? What kinds of difficulties do your clients face? A: OFC does family support, cultural and institutional change work, and policy advocacy, supporting LGBTQ-headed families both personally and structurally. We host nearly 250 community-building or informational events a year, serving over 2,500 community members from across the Bay Area. The organization also provides over three dozen trainings a year to more than 700 educators, family members, and administrators working to help their schools to welcome and include children from a wide range of family structures, as well as to reduce bullying and support gender diversity. Finally, the organization is a fixture regionally and in Sacramento, supporting initiatives and bills that ensure equity for all families. LGBTQ parents and caregivers experience ordinary challenges facing many of us who are raising kids: shortages of resources, shortages of time, not enough support or community. We are from every racial and ethnic and religious background, every class status, every gender identity. But for many of us, our LGBTQ status can be invisible, and it can interact with other elements of our identities to magnify challenges. We’re rarely visible in our children’s school curriculum; our family status is often completely invisible on common forms at school or the doctor’s office; oftentimes, depending on how our family has come together, our legal status relative to our kids can be very complicated or even at risk. Fighting these things alone is a challenge; doing so on top of dealing with institutional racism, Islamophobia, cissexism, or classism—particularly when the common image of LGBTQ people is that we’re all white, middle class, and cisgendered—is much harder. Q: How many Solo Moms or Solo Mom families are you able to help? Is there any family or mom in particular who stands out for you? Can you share her story? A: A great many of the parents in OFC are raising their kids solo, either by choice or following separation or divorce. Because LGBTQ families form in so many ways, most of which are very mindful and all of which fall outside ordinary heterosexual and nuclear models, many of us are raising kids outside conventional two-parent households. And because so many OFC events provide community and child care, we have a lot to offer parents and caregivers who are raising their kids solo. Multiple parents come to mind—a dad whose son came to his family through adoption; a single mom who’s coparenting with an ex; a mom who’s raising twins, one of whom is gender-expansive; and a trans dad whose daughters are amazing tweens. All of them are core members, even leaders of our community; we wouldn’t be who we are without them. Q: Is there a memorable event or situation that demonstrates your organization’s goals? A: We do a lot of work over the course of a year, but our contingents in San Francisco’s and Oakland’s LGBTQ Pride parades provide an exuberant example of what we do: build not just bonds among our families or visibility of a wide range of queer parents for the kids being raised in LGBTQ-headed homes but also a deep sense of joy and pride in who we are. In those marches, our kids’ faces are totally lit up: in San Francisco, literally over a million people line the streets to cheer them on. It’s like they’re astronauts coming back from the moon, and it shows on their faces. They’re proud of their family, not in spite of our difference but because of it. That’s enormous. A: After the Supreme Court legalized marriage equality, and after we’ve had one feature film and one or two TV shows become familiar to people, many folks think everything’s fine and that there’s nothing left we need to do or advocate for. And yet, in many ways, a lot of the harder work is just beginning. For one, we need to defend recently won rights against the vigorous opposition that is re-forming to erode them via, for instance, “religious exemption” laws. Transgender parents face the welter of discriminatory practices that are intensifying as they become more visible; family law is only slowly broadening to recognize our families, and schools are only slowly beginning to make space for our families, either on common forms or in the language and curriculum that define families in the classroom. Funders need to see that our work is far from over; our community needs support to not just survive but to go on to thrive. A: You know, being part of the wider community that OFC has provided me has definitely changed me in that I feel way, way less alone or wrong or whatever about being who I am as a parent—I’m genderqueer, not the biological parent of my kids, and I knew no one like this when I began down the path toward parenthood. But what’s way more important to me is that my kids don’t feel isolated or like “the only ones.” Even if they don’t have another kid in their class who has a genderqueer or trans parent, or has two moms or two dads, they do know there are many, many of us in the community at large. They see that community regularly and feel held by it, even if in some silent, hard-to-identify way. What’s important to me is that they feel totally strong, not in spite of our difference but even because of it. And I know that’s the case because I’ve seen it in their self-portraits and autobiographies, way back in first or second grade. Q: What are you most proud of in terms of your work and participation with OFC? A: I’m really proud that OFC has created tools that can change minds—like the short film Our Family, which is being used now in elementary schools—and has also sponsored legislation (AB 960) signed into law just this past year, which makes my own parenthood legally legible. We used a known donor friend, not a doctor’s office, and this inexpensive, personally meaningful path made my legal status relative to the kids way more iffy (as well as that of our donor way more problematic). So the changes at the policy and legal levels have a deeply personal impact. I’m so proud to be a part of an organization that does that range of work. All that, plus my kids can stroll up Market Street in front of hundreds of thousands of cheering onlookers and feel like they’re conquering heroes. Priceless. Check out more of our featured nonprofits here.